Need flowers in a hurry? 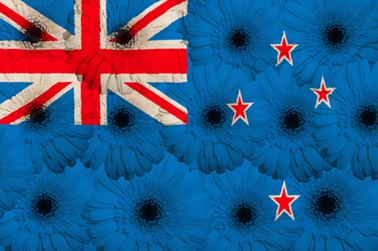 Then the good news is that Direct2florist can deliver the same day across New Zealand. Thanks to our network of independent local florists, which can be found across North and South Islands of the country, sending flowers same day in New Zealand is no problem at all. That’s because we connect you directly with florists based in or around the city, town or village where your flowers need to be delivered. As long as the florist receives your order by 2pm local time your floral gift will be made by hand, just for you, and delivered by your chosen florist’s delivery driver that very same day. So, if you’ve forgotten a birthday until the last minute, need to say well done, sorry or congratulations to somebody, mark a special anniversary or simply show somebody you love them, we’re here to help. When ordering flowers at the last minute it pays to be flexible about your choice of flowers. By allowing the florist to choose the flowers that they use to make your gift you’re guaranteed to receive the very best quality and will be utilising the florist’s knowledge and skill. Of course suggestions for colours and preferred flowers are always welcome, but flexibility really can pay off! 5. You’ve forgotten it’s your wedding anniversary and you need to avoid being in big trouble! 7. It’s Valentine’s Day and you’ve nearly forgotten to say ‘I love you’ to your valentine!